Seattle Nearly Lost One of Its Biggest Music Boosters. Instead, She's Doubling Down With Upstream. Los Angeles was beckoning music biz maven Melissa Darby. Fortunately for us, Paul Allen's new fest kept her in Seattle. Melissa Darby in Pioneer Square before Upstream crowds arrive: After 24 years at the heart of Seattle’s music scene, she’s come of age for the biggest job of her life. Darby herself, who booked both the summit speakers and fest performers (with input from a host committee of 46 local music bigwigs and 46 guest curators—the power elite of music), is the perfect example of why our music scene, if it’s to retain good people, needs Upstream. It’s not just a festival performance event with dozens of stages in CenturyLink Field and Pioneer Square, but also an ambitious professional-development summit project (at WaMu Theater) to loft local artists to the next level professionally. “As someone who’s grown up in Seattle music, producing shows for 17 years,” Darby says, “I found myself asking, what’s next for me?” She had one foot out the door to Los Angeles, where big-time jobs beckoned, when Upstream snatched her up last July. Darby, 35, started out by working hundreds of shows at Redmond’s Old Fire House. “When she was 11, she snuck onto our volunteer crews under the pretense of being 13, which was our minimum age for volunteers,” says former Fire House boss Kate Becker, now Seattle Office of Film + Music director. 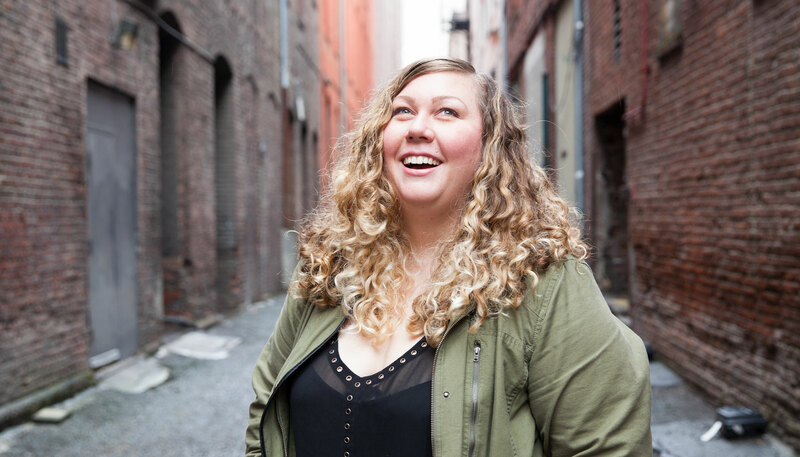 Darby wound up as the Fire House booker, and through her company, Obese Productions/Reign City, booked talent all over town, working at various times for the Nectar Lounge and The Crocodile, where she booked Snoop Dogg to play for 450 people in 2015. The summit part of Upstream will be a way to help those local stars with the next step, with advice from once local, now national mentors: musician and producer Quincy Jones, hiphop star Macklemore and Kill Rock Stars record label president Portia Sabin. Upstream guest curators include Hockeytalkter Records exec and Pearl Jam guitarist Mike McCready, whose strong endorsement of Sage Redman helped lure her band, FKL, back to Seattle after years in London.